For new physicians, who often have little background in the business of medicine, starting a career will be a challenge. From sifting through thousands of job openings, identifying your job priorities and requirements, applying and interviewing for your top picks, and, finally, successfully negotiating a contract — finding your dream job is really a job in and of itself. Altogether the task can seem daunting and will probably leave you wondering, what is a reasonable job search timeline for residents? We recommend starting the process 12 to 15 months before your training will end. That means that residents should start looking for a job in the spring of year two, in order to land the right job by the end of year three. Logic may lead you to believe that the high demand and limited supply of physicians will make it easier for you to find your first job whenever you start looking. But with literally thousands of options available, the opposite is true. Many final year residents are overwhelmed by the sheer variety of choices, and they are unaccustomed to negotiating for a job. They always underestimate the timelines involved from application through interviewing and licensing. As a result, the most desirable positions are often filled early, and new doctors often wind up in positions that aren’t the best fit for them. Surveys have shown that residents and fellows in their first positions have the highest turnover rate. If you wait too long, confusion and panic can set in, and you can accept a job out of necessity rather than choice. 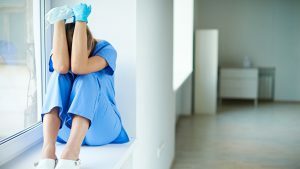 It sounds ominous, but it is estimated that more than half of new physicians leave their first job within five years, and more than half of that group had stayed only one or two years. One common mistake that newly trained doctors make, is to focus their job search on a particular location. In some cases, doctors insist on a certain location to be near family and the community where they grew up, rather than focusing on finding the practice setting and culture that offers the best fit. That narrow approach could force you into a job you don’t really like. We surveyed physicians and found that when “location” was the top priority in their first job search, they were more likely to leave within five years than those applicants who had chosen “quality” as the top priority. Of course, if you remove the location filter from a job search, the number of possibilities can seem overwhelming. Winnowing down the choices means having a good idea of what kind of job you want. Do you want to work for someone or strike out on your own? Do you want to be in a large organization or a small one? Perhaps you know you want to pursue academic medicine in a big city with job opportunities for your significant other. If you need to see your compensation stretch further, a smaller city may be best. Due to the more limited supply of physicians, small-town practices often provide higher earning potential and a lower cost of living. Once you know what really matters to you, it becomes easy to focus on the best locations, practice settings and organizations for you. Starting early allows you, as a busy resident, to take ample time to consider your options. You might start by consulting job listings online, including those provided by specialty societies, journals, recruiting firms, and healthcare organizations. You’ll also have time to go to continuing medical education (CME) meetings, where you can network with people who can help you with your search. Two to three months to review the overwhelming information available, talk to recruiters, network with colleagues and mentors, and settle on a handful of opportunities and places to explore. Four to five months to schedule and go to on-site interviews and possible second interviews. 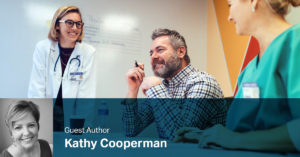 There are a lot of busy people involved when you go on site visits — the hiring physician, prospective colleagues, practice or hospital administrators, and human resources staff. It can take four to eight weeks just to get everybody on the calendar to meet with you, especially when allowing for the winter holidays. Two to three months to obtain an offer letter and get a preliminary contract in hand, and then have the contract reviewed legally and finalized. Whether it’s a large health system with levels of bureaucracy, or a small practice with fewer resources to keep the process moving, it can take considerable time to get a contract completed. Three to five months before the start date to get through the licensing and credentialing process. This timeline varies widely depending on the state, hiring entity, and practice site, but it’s not uncommon to see a start date slip because of holdups in licensing and credentialing. What are must haves, personally and professionally? What are nice to haves, personally and professionally? Are there any locations you will not move to? What factors are tying you to a certain region? What are your minimum financial needs? Get help “triaging” opportunities. A good physician recruiter can be a valuable asset for busy residents who need to create a job search game plan. At no cost, recruiters can help you examine your priorities and identify opportunities where they have a knowledge of the practice environment and the culture. They can help you collect data on the healthcare markets and geographic locations you’re interested in, to ensure there’s truly a need for your services and to avoid wasting your time. When offers are made, they can help you navigate the negotiation and contracting process. Their goal is for your new employer and you to achieve the win/win based on the best contract and compensation plan with the best fit for your qualifications and needs. Your first job will be something you’ll always remember, so it’s important to make sure it’s the right one for you. Though it can be hard for a busy resident like yourself to find the time to do a thorough job search, the benefits are well worth it—and may pay handsomely for many years to come. Reach out to our experienced recruiters for even more tips on how to spring into action on your job search.